Hi guys, it's me. 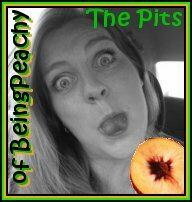 Yep, ThePeachy1. As you may have noticed or notI have been a little absent. I had some super secret stuff to tend to I will fill you all in with as much detail as I can next week. But you know I am an avid supporter of not posting on the weekend. because I am lazy. To be honest Tuesday and Wednesday were seriously a blur here and by Wednesday night I knew I was probably going to have to disappear like the loch ness monster during tourist season. At 10:09pm CST on Wednesday I sent an email on Facebook to 4 people who have never met me. Yes they are bloggers. Yes they are funny and yes I consider them my friends. I told them I had to bolt, no explanation, no questions were asked. Within 5 minutes they had it covered, and within a few hours everyone of them responded. They stepped in and covered 2 blogs for 2 days. 4 Posts for me, 4 Posts for you. This isn't since the typical "you're at the store would you mind getting me some butter?" type favor people. This is would you mind sharing a piece of you, your writing, yourself on my spot on the internet for my readers without any warning. vodka fine wine. But I have none of that. So I give them my most sincere appreciation and gratitude. Last time I checked they weren't accepting gratituted as a form of payment at the power company so if you lovely readers would hop over and check them out, you will more than likely fall in love and follow them just like me. The Mysterious Miley- often confused but quite confident and a closet grammar cop. I spent hours looking for songs on the internet that said thank you. You know what I found out? You get golden girls, sarcasm or a hidden love song, and although I love them madly it didn't get my point across appropriately of just how much I appreciate what friends will do for each other. Then I found this. And it was perfect. That's some serious coverage y'all ! I hope you all have a splendiferous weekend !